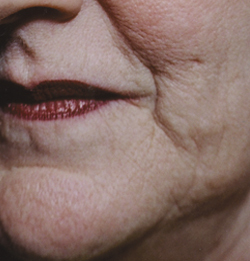 As we age, our faces begin to lose shape. In the quest to eradicate the signs of aging, patients continue to demand better results with less recovery time. Recent advances in technology aim to meet those demands, giving physicians and patients many options for facial augmentation. Radiesse® offers an immediate radiant, refreshed look that is safe, effective, and FDA-approved. Radiesse® has been used successfully for several years in prosthetic implants in dental, facial and orthopedic surgery. Radiesse® treatments can be done at the same time as other facial rejuvenation procedures such as laser treatment, chemical peels or facial surgery. The calcium-based microspheres and gel of Radiesse® add volume and strength to your skin as well as stimulate the growth of your own natural collagen. While your body will eventually absorb the Radiesse®, the new collagen production that Radiesse® generated will last much longer, keeping your face looking youthful and vibrant. Using a very fine needle, Radiesse® will be injected into soft tissue just under the skin. This tissue then takes on the properties of the tissue into which it is injected. If injected into bone tissue, it will harden. If injected into soft tissue, it will remain pliable. Radiesse® treatment involves very little discomfort. A local anesthetic will be used. 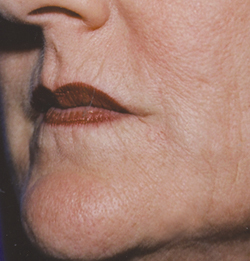 How Long Does Radiesse® Dermal Filler Last? Radiesse® will immediately reduce the signs of aging in your face such as wrinkles, fine lines, folds, or depressions in the cheek area for 2-5 years. Radiesse® requires little to no downtime with most patients able to return to their daily activities immediately following the procedure. Bruising at the injection sites can be covered with mineral makeup. There are very few risks (if any) associated with Radiesse®. Dr. Bunin was the first doctor in the Tri-State Area to use Radiesse®. Due to her extensive experience with this product, Dr. Bunin is on the medical education faculty for Radiesse® and teaches advanced techniques to other doctors.